Hope you liked my previous post on How to Buy a Perfect Memory Card Online. 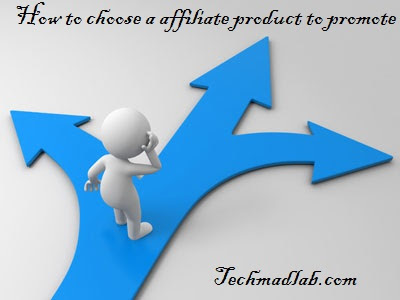 In This Article, I am gonna tell you few things to keep in mind while choosing an affiliate product/program to promote. Firstly let me tell you what affiliate marketing is. It is a form of partnership by any company in which company pays you for promoting their product and you get 40-50 % commission for it. sometimes even 90%. It is the best way to make money online. Just search on Google “best selling affiliate products” or “top selling affiliate products “you will get a long list. But I recommend you to promote only those products that are promoted by only a few people.So here I have few things for you guys. Your commission must and should be high. At least $50 + per sale. So that you will be more motivated and stick to your track. It will help you when you are just starting affiliate marketing. The Product must have a sale funnel. In sale funnel, you are not just paid for promoting a product, you are also paid if the buyer buys any other version of that product. For e.g. let’s take any product which cost $100 and you are getting 50% i.e. $50. The game is not in this you are also paid if the buyer again buys any other version like pro, gold or anything like that. If the buyer buys the pro version of that product for $400 you again gets 50% i.e. $200.